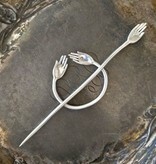 The JUL Designs Gesture Shawl Pin is a beautiful and simple shawl pin made from white brass. 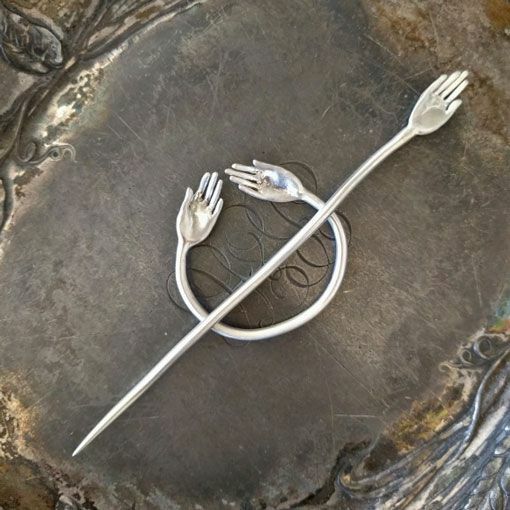 The open hands found on this handmade piece evokes a feeling of generosity, openness, and gratitude. Handmade and hand finished in Indonesia. Includes stick and ring.